This post was created in partnership with Minute Maid. All creative ideas and opinions are 100% mine. We only have 2 days left of school, and the panic is starting to set in. Are the kids registered for swimming lessons? Have we planned any family trips? What are they going to do all summer? Am I ready for them to be home ALL DAY?? I can’t be the only mom having these thoughts as the end of the school year quickly approaches. Several friends in my neighborhood were having this very discussion over an emotional text thread the other day, and I could tell they share the same worries I do. As moms, it’s easy to feel like we’re falling short. We feel guilty about NOT being excited at the thought of our kids being home with us all day long. But as I listened to my friends talking about their concerns, I realized we were not giving ourselves enough credit. 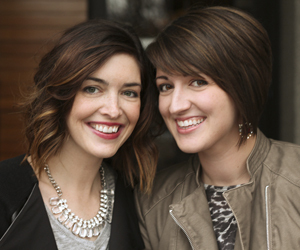 My friends are amazing moms and they’re doing much better than they think they are! So I decided to surprise one of my friends with a special, surprise delivery to alleviate some of the stress and additional pressure that comes with summer vacation, and to make sure she knows she is #doingood. A First Week of Summer Survival Kit. My plan was to create a care package of sorts. 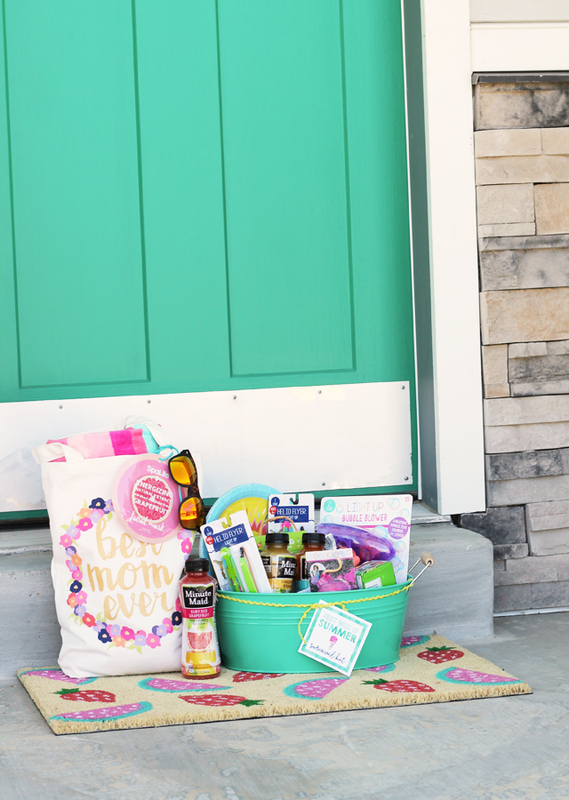 As moms, we are the ones always making care packages for our kids – whether they are away at summer camp or off to school. 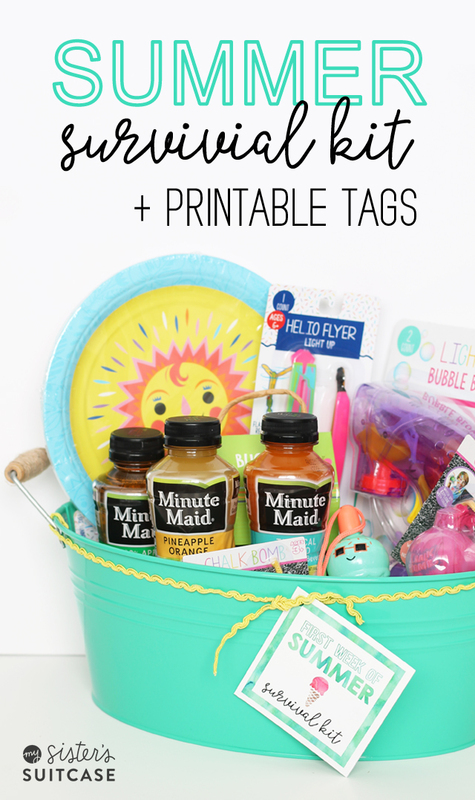 With the help of Minute Maid, we’re reversing this tradition to make care packages for moms and parents instead! 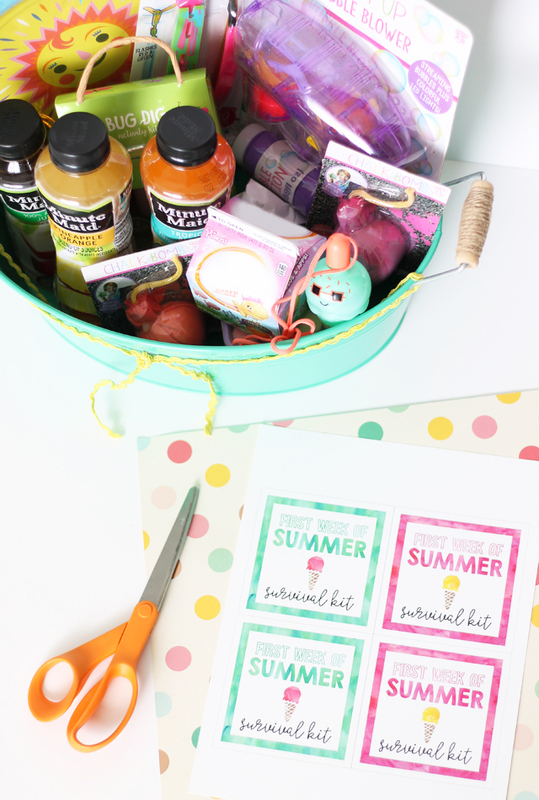 This “Reverse Care Package” idea is a great way to remind a parent they are #doingood. Check out Minute Maid’s newest campaign video to see just one great example! 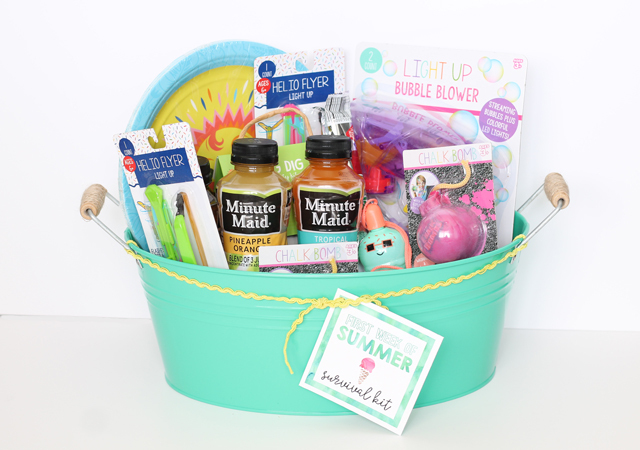 My care package is filled with activities that will keep my friend’s kids busy, along with snacks and drinks to fuel them while they play. She’ll have the choice to distribute the items to the kids a little at a time, or save the entire kit for one of those emergency days and let them play all day! I found some really fun kids activities to add to the kit, including light-up bubble blowers, sidewalk chalk bombs, helio flyers, a bug dig kit, and these darling ice cream bubble necklaces. I also added some festive paper plates, snacks, and our favorite juices and drinks from Minute Maid. 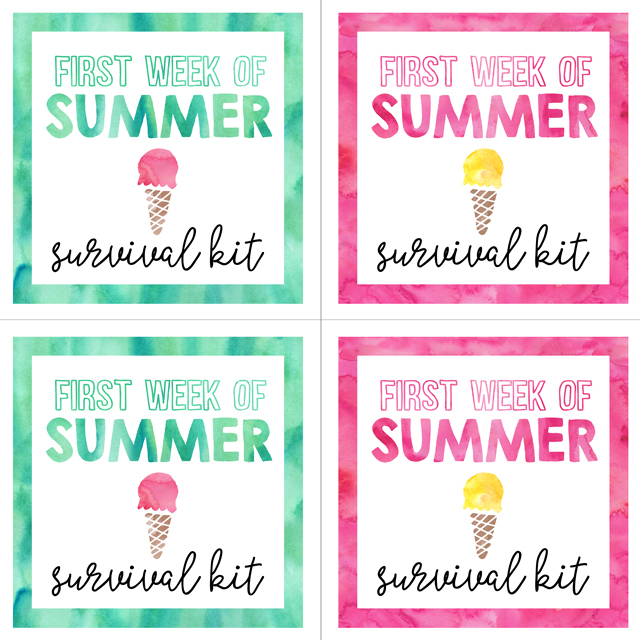 The survival kit wouldn’t be complete without a tag, so I created these darling printables and I’m sharing them with all of you! Once I cut out my tag and tied it on with some coordinating ribbon, I was ready to make my delivery! But first, just one more surprise. I had to get something for my friend, to remind her she’s doing a great job as a parent and deserves a treat! 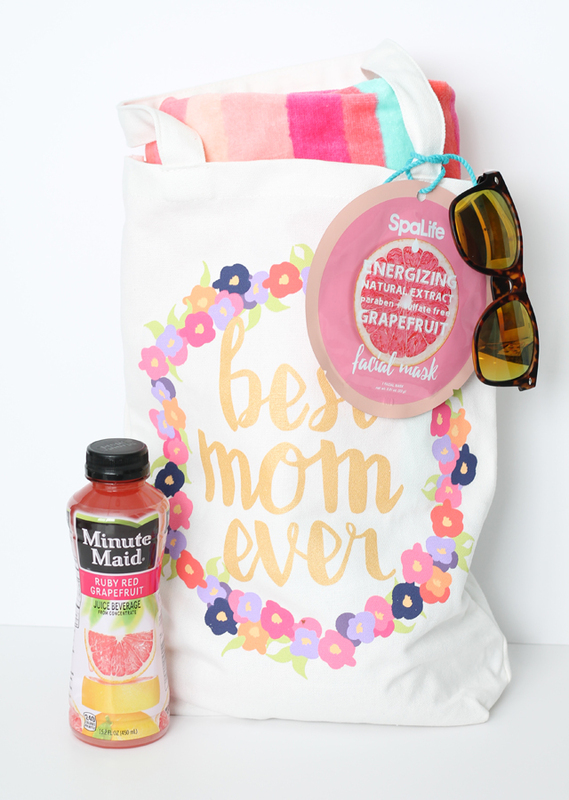 My gift was inspired by this cute bag that says, “Best Mom Ever,” and one of my favorite drinks on hot summer days, Ruby Red Grapefruit juice from Minute Maid. 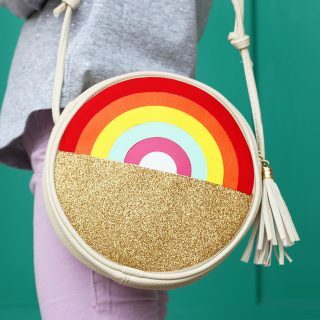 I filled the bag with items that will help my friend relax and enjoy her time outside with her kids, including a new beach towel, sunscreen, and sunglasses. I couldn’t resist throwing in a facial mask to go along with the grapefruit theme. Taking time for ourselves is important too! I can’t wait to see her reaction when I drop the kit off on her doorstep on the last day of school! 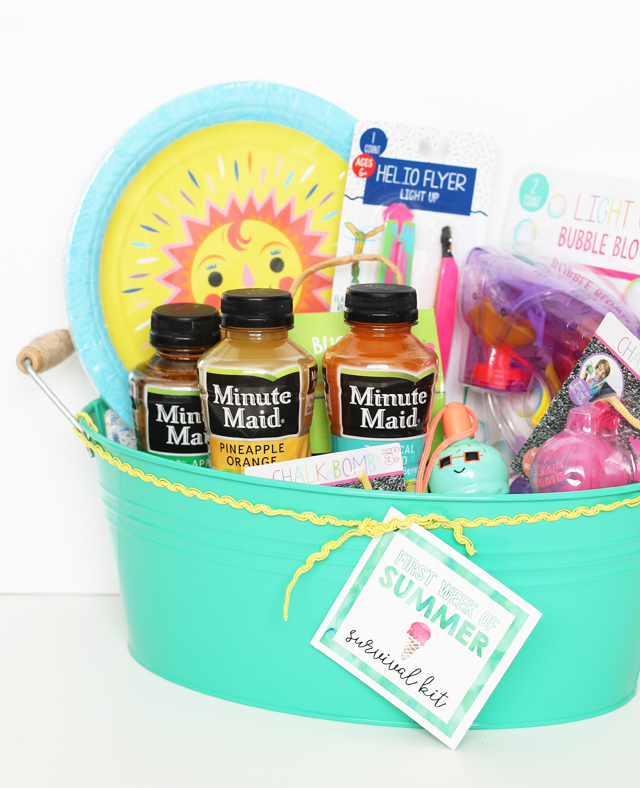 Do you know any moms who could use a little something to brighten their summer? Help shine a light on all the great things parents do for their families by reminding a parent in your life they are #doingood with a Reverse Care Package and special #doingood delivery! Head to MinuteMaid.com/carepackage to find even more ways to remind parents they are a doing a much better job than they may think. 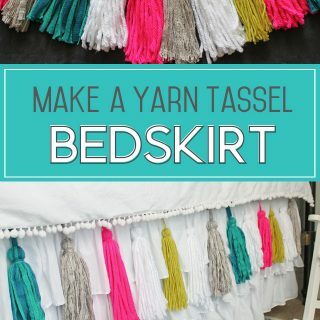 And don’t miss this! You could win a magical Walt Disney World vacation from Minute Maid. Visit MinuteMaid.com/doingood for details.